Even well-immersed gearheads like you have no idea what to look out for when buying a used EV. You’re a prime example of all that’s right in the car world. Knowledgable, friendly, a courteous driver, the kind of person that all your friends dial up if they’re looking for a good deal on a used car or to avoid being scammed into changing their blinker fluid by a scheming mechanic. But there’s a huge gap in your knowledge of the tips and tricks to buying a used car, and we’re not talking about asking the driver trivial maintenance questions to see how well they took care of the car. 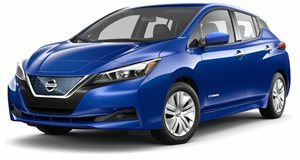 As electric cars begin to filter down the pipeline of trickle down economics, from brand-new models made made marginally less expensive to well-off buyers with federal tax incentives, all the way to the used car lot, many car shoppers are at a loss of knowledge when it comes to the things to keep an eye out for when purchasing a used electric car. Well, fear no longer because one of the first comprehensive guides for shopping for a used electric car is finally here. It covers the most popular electric car in the US, the Nissan Leaf, but the valuable tips here can be used at the used car lot when it comes time to finally pounce on that used Model S. On the Leaf, our guide (which is for Brits) recommends one built in Nissan’s Sunderland facility because it boasts improvements over other similar models. That won’t apply to a used Model S, but the key here is to be aware of the minor upgrades each automaker gave their EVs over time and know which one you’re getting into. Also important are the tires. Electric cars need special tires that differ from those on gasoline cars. Make sure that the previous owner didn’t scrimp on those because the tires can make or break your EV’s range. Those are just of the few things you want to be aware of. Maybe you’re not in the market for a used electric car, but knowing this stuff is all a part of being the well-versed gearhead that you are.